Integratore rilassante con Melatonina ed erbe naturali - ESI S.p.A. 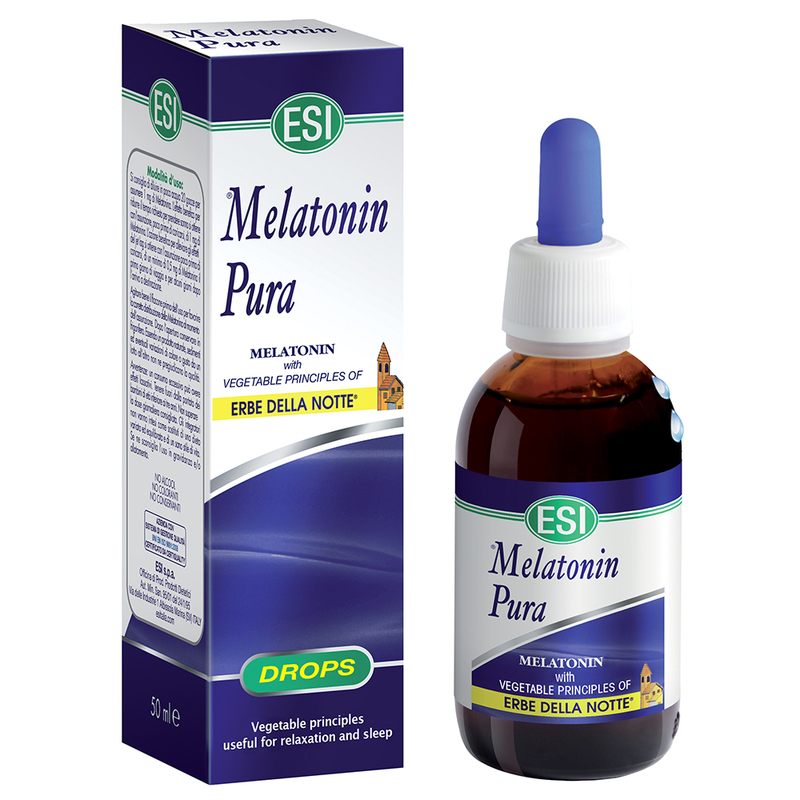 This Melatonin based dietary supplement is enhanced with ingredients that are considered “Night Herbs” (California Poppy, Passion Flower, Hawthorn, Chamomile, Linden and Valerian). Melatonin helps to treat jet lag and reduces the time that it normally takes to fall sleep. We used herbal ingredients that help to promote relaxation and sleep; additionally, Hawthorn not only promotes relaxation, but mental well-being as well. Orange flavor. Take 20 drops (which equals 1 mg of Melatonin) diluted in a little water. Warnings: Keep out of the reach of children three years of age or under. Do not exceed the daily recommended dosage. Supplements should not be considered a substitute for a balanced diet and a healthy lifestyle. Excessive consumption could produce a laxative effect. Do not take while breast feeding or pregnant.